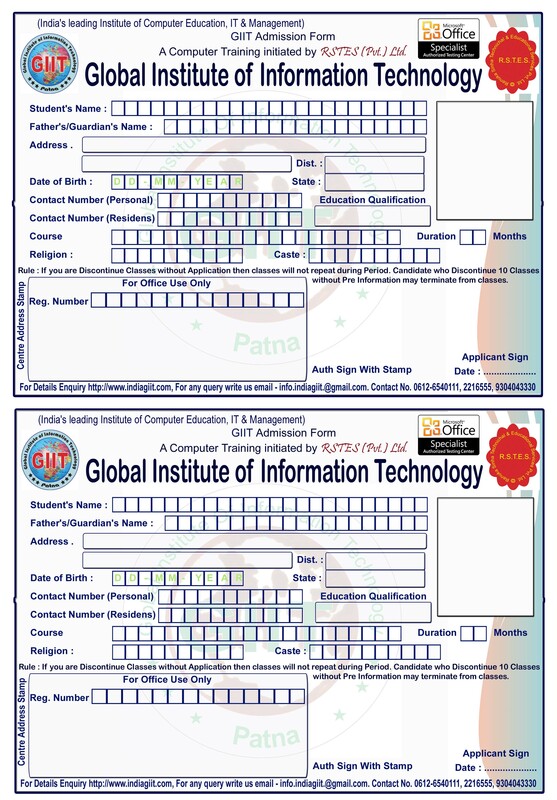 Fill the Print out of this Form & send to "Global Institute of Information Technology, Parijat Complex, Opp- Punjab & Sindh Bank, Dakbunglow Chowk, Patna-1." with Rs. 250/- only by Demand Draft in favour of "Global Institute of Information Technology" payable at patna. You must entered your nearly Centre address of GIIT.